Nintendo's Miyamoto Talks Passive Attitude of Casual Gamers, it's "a Pathetic Thing"
Shigeru Miyamoto is one of the designers at Nintendo responsible for a lot, if not most, of the company's success. 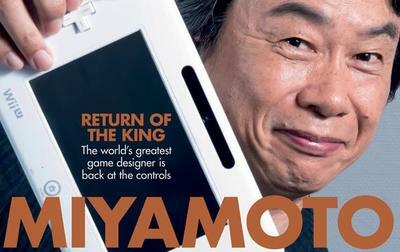 He's the man behind Mario, Zelda and Star Fox. And he was even involved with phenomenons like Wii Sports. Basically, he's a key figure for the company, and when he speaks, writers and gamers pay attention. In a lengthy feature recently published by EDGE magazine, Miyamoto talks a bit about the wave of casual gaming Nintendo brought in with the success of the Wii. According to the designer, their attitude towards engaging with entertainment is a little too passive. "Their attitude is, 'okay, I am the customer. You are supposed to entertain me.' It's kind of a passive attitude they're taking, and to me it's kind of a pathetic thing. They do not know how interesting it is if you move one step further and try to challenge yourself [with more advanced games]." Right, that bit about it being "pathetic" is sort of the driving point here. I don't think Miyamoto means pathetic in the desperate way, but more in the way that these gamers can't be driven or challenged to heights beyond what's set in front of them. The whole message from Miyamoto in this portion of the feature suggests that Nintendo is ready to move away from casuals like that and towards more core gamers. …Fortunately, because of the spread of smart devices, people take games for granted now. It's a good thing for us, because we do not have to worry about making games something that are relevant to general people's daily lives." Did you catch that bit? Nintendo's no longer concerned with making games that serve as distractions for those who'd rather play for cheap on their phones.